I was born in Denver and grew up in Wash Park. 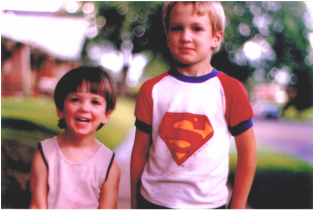 As a kid, I spent my summers and evenings playing, exploring, and catching crawdads in the Wash Park ditch. As a graduate of the Denver Public Schools, I attended Crofton and Steele Elementary Schools before heading on to Merrill Middle School and South High School. Inspired by my work at the Balarat Outdoor Education Center and The Greenway Foundation, I went on to receive an undergraduate degree in Natural Resources from Colorado State University and a master’s degree in Nonprofit Management from Regis University. 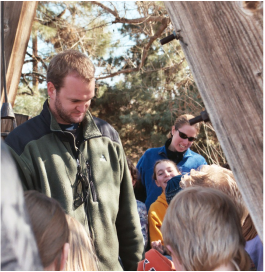 For the first 17 years of my career, I worked to connect communities to parks and open spaces and to provide compelling and engaging programing for kids and adults along the South Platte River through The Greenway Foundation’s SPREE (South Platte River Environmental Education) program. Under my leadership SPREE won more Excellence in Environmental Education awards than any other program in the state. I worked with communities adjacent to the South Platte River to improve distressed and underutilized park space and I spearheaded the vision for a new five million dollar outdoor learning park right in the heart of District 7 that opened in the spring of 2015. 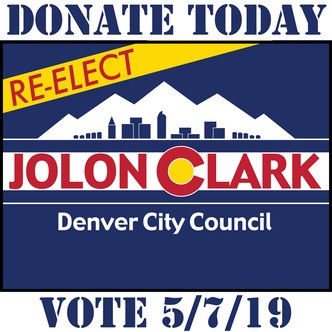 In 2015 I was elected to represent District 7 on the Denver City Council. One year later I was elected by the Council to serve as the President Pro-Tem, and an in 2018 I was elected by the Council to serve as the Council President. In 2003, I married Sarah, my CSU sweetheart, at the Cheesman Park Pavilion, and I fell in love with Denver all over again as I introduced her to the city I grew up in. We are the proud parents of two children, one dog, and two cats.